Hey y’all, welcome to the first update of 2019! This update is a combination of highlights from December and January since we didn’t have our regular update last month. We’ve recently started a schedule of biweekly playthroughs. These support our current focus of improving gameplay and player experience. In addition we continued our regular sprints, which consisted primarily of the downtown, campus, inner city, and rooftops areas. As always, feel free to watch the update video or continue reading below. Thank you all! Newest video update! Click above to watch. 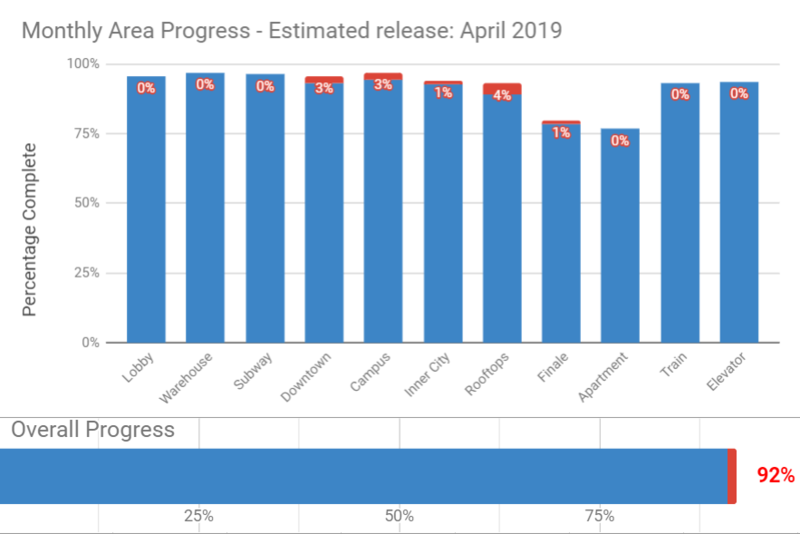 The red bits is progress made since our last update. Our electrical puzzle mechanic has been one of our least tested systems. It shows up later in the game so our demo hasn’t showcased it. By having these full game playthroughs, it’s been invaluable for improving and getting opinions on the more advanced mechanics. We recently did an overhaul on the electric and rooftop systems to be much more user-friendly than it was previously. There have been four brand new puzzles added since the last update. We’ve added one in both the Downtown and Campus, and two in the Rooftops area. The additional Rooftops puzzles were implemented to help explain the mechanic a bit more thoroughly before players get to the more difficult puzzles. The Downtown and Campus ones were made to fill out areas and showcase simpler mechanics that were a little under used. Our newest puzzles, ‘Buzz and a Pop’ and ‘Jumpy.’ All of our puzzles have quirky names. We’ve been going through our final paintover passes. These are the last visual area passes we’ll do before our final lighting pass. It’s extremely exciting to see the visuals get just about wrapped up. While the lighting might not be exactly right, here’s some snaps of what we’ve been working on. 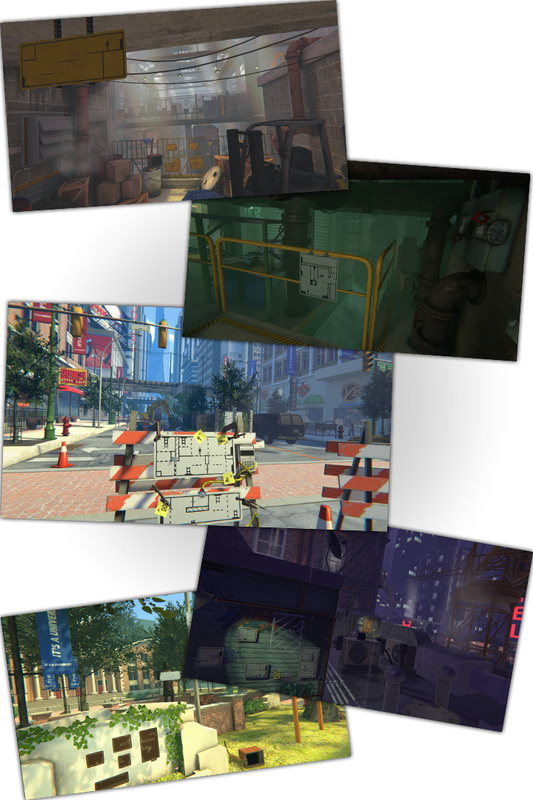 Screenshots of various areas that have had a visual upgrade. Some of the people that have played the later portions of the game found confusion in our open hub system. We’ve helped remedy this by adding in some directional sticky notes into the game world. These point to various hub goals and are dynamically updated to reflect the current state of the hub. This helps to keep player goals within view so they’re not as easily forgotten. Our sticky notes and notepad paper is used to help guide the player. 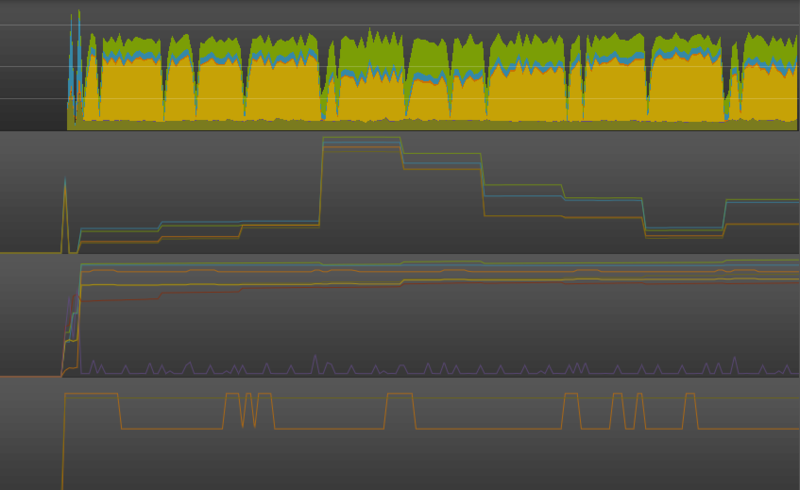 We created a tool that teleports us to every level spawn where we can record performance information with the Unity profiler. This helps reveal any of the game’s problematic locations. Through reducing texture sizes, controlling the number and size of lights, and adding in occlusion culling we’ve seen a huge increase in performance across the game. Unity’s profiler display when used on our Warehouse area. Continued progress on finalizing the save system to work with all of our systems. It now does everything you’d expect it to, keeps your progress! Yay! We’ve begun to refocus on music and audio. Nothing is set in stone yet, but there has been much progress on refining our sound. Expect to hear more in the future. Our rigorous testing schedule has thankfully revealed many ways we can improve the player experience. So much of our work these past months have been: refining puzzles, player controller, and smoothing the difficulty curve. You can find the complete list of finished tasks over at our Google Drive spreadsheet. Our next steps consist of working on the Inner City, Finale, and Apartment areas. Still continuing with our testing and implementing story and music. We’re getting closer than ever and we’re excitedly pursuing the finish line. I know we say it every time, but we are so grateful to have you all supporting us and The Pedestrian. Thank you. thanks for these updates. i already have the game on my wishlist on steam. how many levels do you reckon will be in the final product?